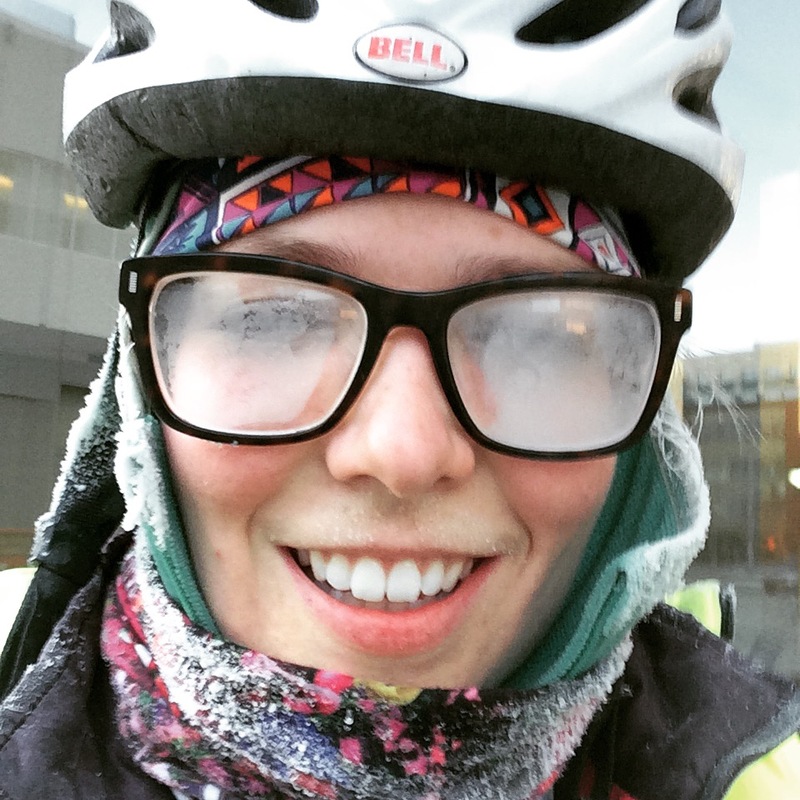 Year Round Bicycle Commuting: I Made It! Not it, in the sense that “it’s” over. But it, as in, one year of bicycle commuting. Last spring, I set a goal to stick it out and try my wheels at winter biking. It’s been a hell of an experience – cold, dark commutes were the highs and lows – but it was pretty amazing and I’m grateful that I was able to do it without much struggle. Biking is seriously the best. It’s so good for a clear head, fresh air and community. I get exercise every morning (although, I kind of don’t count it – right, Hannah?) and my legs are so strong. I earned them. 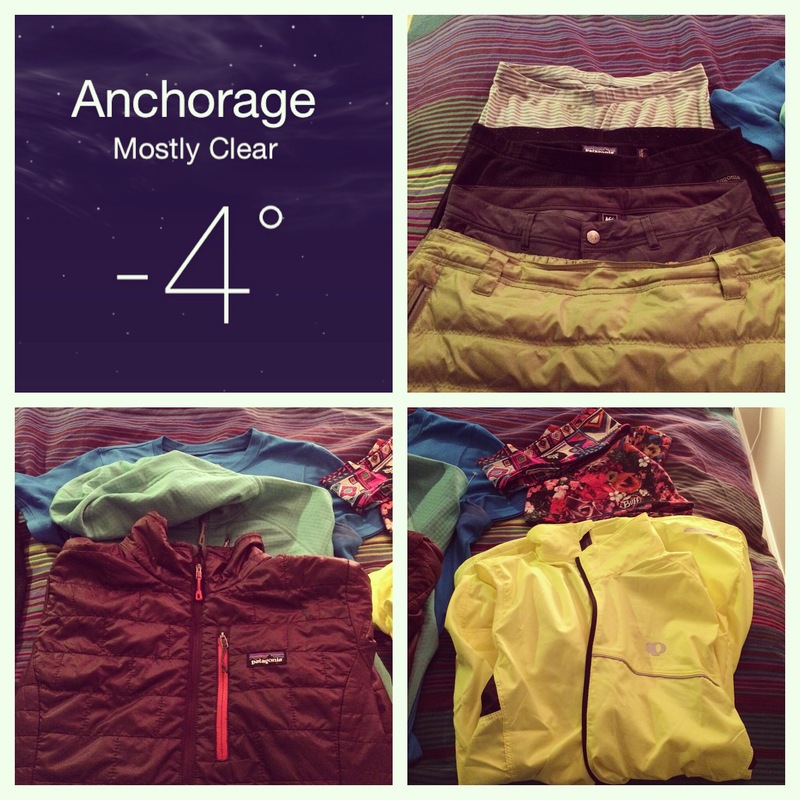 Anchorage is having a mild winter and there have only been a few commutes with soft snow to plow through. Those mornings were a little tricky, but if you can relax and go with the flow & movement of your tires, you’ll get by okay. For the most part, the roads have been hard pack with snow and recently, ice. With studded tires, I whip through the road route to work and the Chester Creek Trail is smooth sailing on the way home. Not pictured: double layers of socks and gloves (or my helmet). It was bitter cold. Even with the body heat I created on the way to work, I was grossly uncomfortable. My glasses steamed up quickly then frosted within a mile of my home. All frost everything. Why put myself through this, you may ask? Well, the easiest answer is that Adam & I are a one-car family and he needed the vehicle that day. Why else? I’m an able-body, tough-minded, sometimes fool-hardy young woman. And a casual badass, this is just what I do. Winter Bike Fest First Friday Bike Ride – Gnarly wind & cold! Not anyone I know… It’s a blog post for another day. Photo credit to Backroads.com. Awesome! Yup, you totally earned your super strong legs. Best wishes to you as you start your second year of bike commuting. I always enjoy reading about your latest adventures so I have nominated you for the Versatile Blogger Award. Here is the link,https://bikelikecrazy.wordpress.com/2015/02/11/two-important-announcements/. Following the “rules” can be time consuming so whether you decide to officially accept or not, I wanted to let you know that I think you rock. Wow! I’m feeling pretty shameful as I put off commuting to work here in SD until it gets a little ‘warmer’. (It’s going to be in the 80’s today) I guess I should evaluate things…. thanks for the inspiration! What an amazing accomplishment! This makes me feel guilty for putting my bike away once the first snow came, and I am so impressed you battled those icy cold days. Where is the not-you cycling photo from? Matt & I are planning on cycling Northern Italy in 2016, and I’d love to hear your advice on certain places! Emily! Thanks for the kind words. 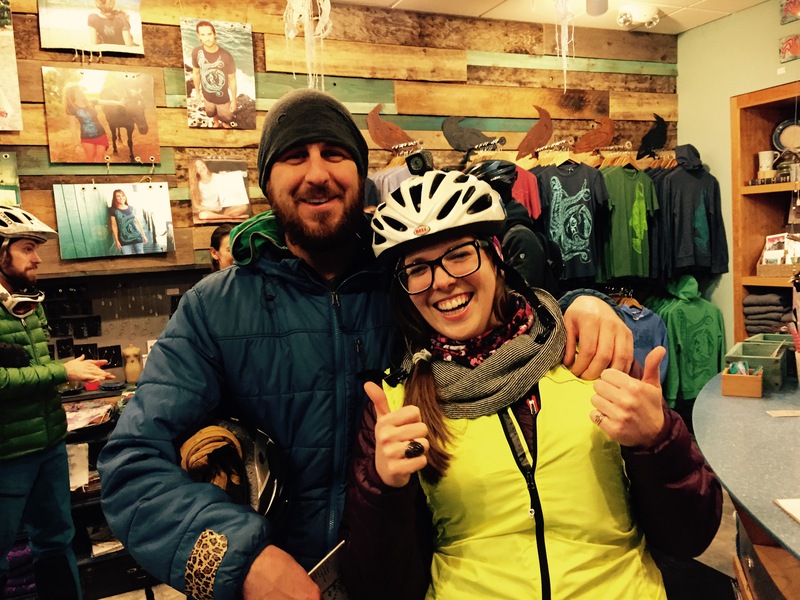 I’d love to talk bike touring with you. We’re diving into resources now and I can share links, tips, etc with you as we go? Coffee sometime?